Website Help!.. I Haven’t a Scooby Doo What to Do! The whole website thing just seems a tad too scary sometimes, doesn’t it? And that’s without anyone sneaking around in disguise and trying to spook you! But in all honesty, it doesn’t need to be. That’s what I’m going to talk to you about today (as well as highlighting a few of the biggest benefits your website can bring to your business). Choose a web hosting company. This is so that your domain name and your website have a nice little home to call their own (just like renting a building for your business in the ‘real’ world). I can help with web hosting, by the way, so do get in touch if you’d like to know more. And if the thought of pointing your domain name to your hosting gets you reaching for those Scooby Snacks, fear not, I can help there too. Decide on your platform (I’d recommend WordPress.org every single time). There are many others out there too, but if you want to know why I’d choose WordPress over anything else, and why you should steer clear of the ‘free’ website offers out there, read one of my earlier blogs here: https://www.happyhearthq.com/free-website-really/. And then start working your magic! If you’re struggling here, by the way, keep on peddling, Scoobs, I’m right behind you (that’s Shaggy speak for “find out all about my easy, cost-effective website solutions here”: https://www.happyhearthq.com/work-with-me/). Your website is your shop front to the world… your 24/7 secret sales agent that schmoozes your web visitors while you sleep. So forget about running away like a damsel in distress (we all know they’re a cartoon myth, right?) and thinking you can’t afford a decent website or you daren’t tweak it in case something bad happens or you haven’t got time to create one. Instead, think of all these lovely big benefits, and how they’ll impact on the success of your biz (and put those excuses to bed). Unlike your social media pages, your website belongs to you – which means you won’t wake up one morning, and realise it’s vanished in a puff of smoke. You’re in charge of the reins here (no need to worry about any meddling kids) – which means you can tweak and update your website as often as you like. You can capture your website visitors (not in a villainous kinda way, either) and encourage them to sign up to your newsletters and emails – which means you’ll open those communication doors and start warming up relationships in the gentlest way possible. You can see which pages are devoured the most, and which are trapped behind tumbleweed, and do more of what’s working so brilliantly for you. Try Google Analytics or a plugin called ‘Count Per Day’ if you don’t track your website yet. Can you see that websites don’t have to be scary…? 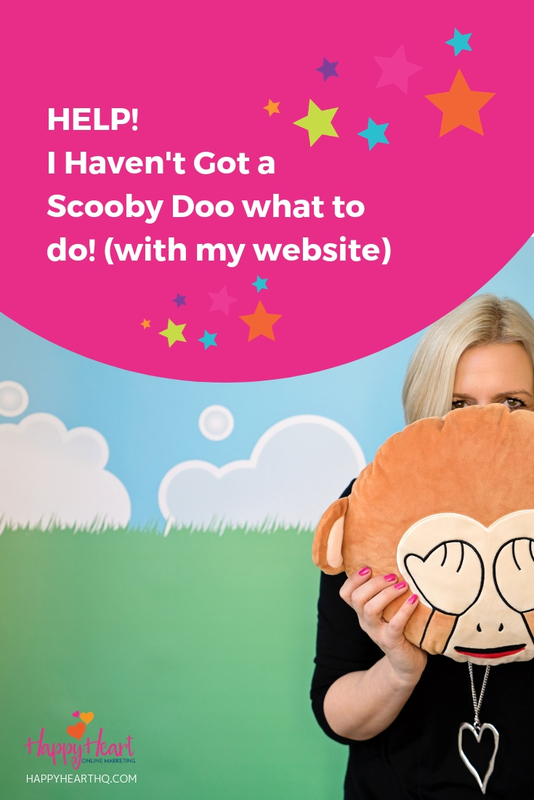 Take my advice, forget about Scooby Doo, break down your website tasks into Scrappy-sized chunks, and start working towards your fabulous website today. You know where I am if you need a helping hand. Is it driving you sales? Are you proud to share it with the world? If you have answered NO to any of the above then my NEW Wonderful Website Guide is just for you! 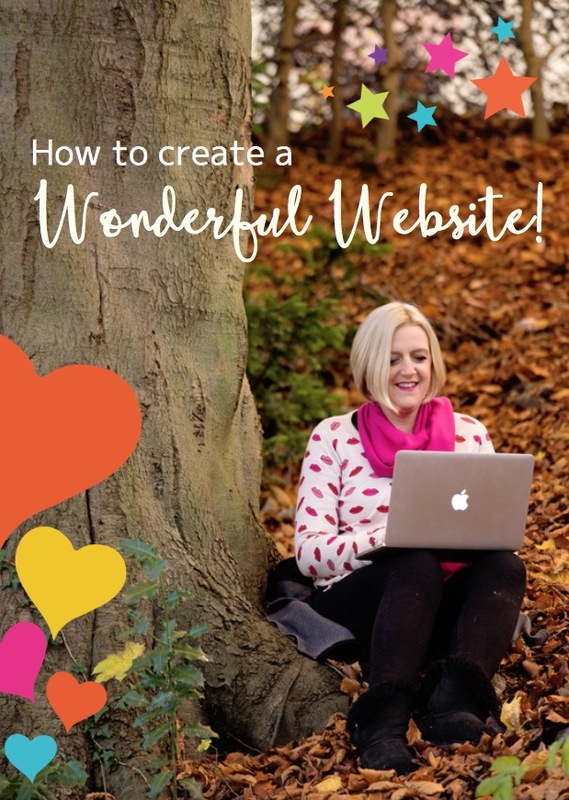 It’s a really simple guide to get you started with a website that you will totally love, one you can take control of and update really easily!